Are you looking for a cool, action packed arcade classic that delivers an interesting, fun gameplay and a lot of variety? Do you want to challenge yourself in one of the most interesting space themed game worlds out there? 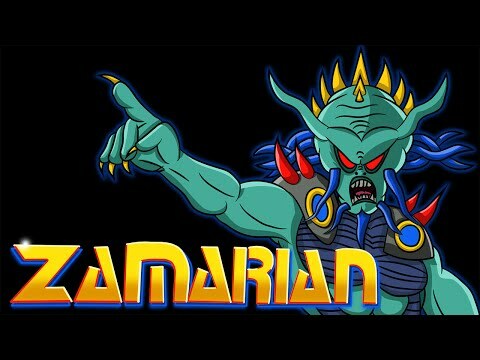 Welcome to Zamarian, the one game where all of that and so much more comes to reality in an extraordinary way! Your main focus here is to defeat the aliens that are trying to destroy your planet, all while assuring yourself that you will be the one true owner of this portion of your galaxy. 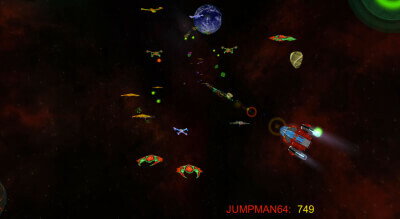 Zamarian comes with easy to use controls and a unique gameplay experience that will change as you play. We are also offering you beautiful graphics, an action-packed soundtrack that seamlessly blends rock and chiptune music as well as a multitude of bosses that will always try to eliminate you once and for all. 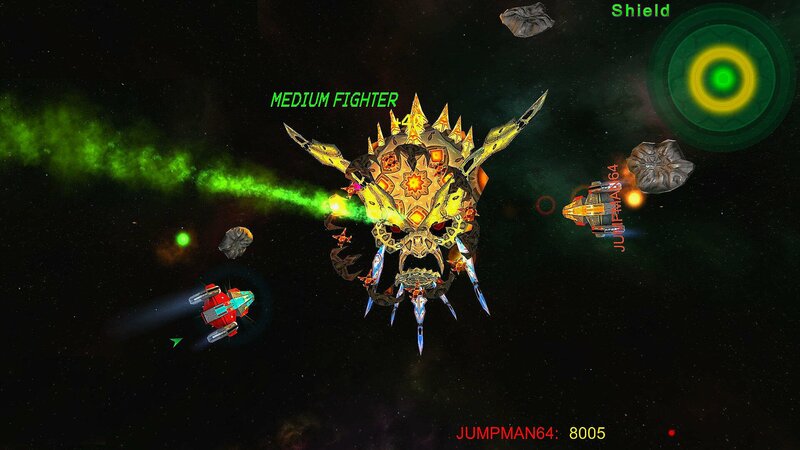 Zamarian also delivers a shiny, fun multiplayer component that allows you to immerse yourself into the gameplay, all while accessing some really interesting results. You can collect coins and gems to improve your chances of survival! Don’t hesitate and download Zamarian right now, engage yourself into the ultimate battle for the galaxy and fulfill your destiny to become Earth’s final hope! In the end, Zamarian does a fine job at being what it sets out to be. The unique perspective and gameplay are just enough to make it worth a look for genre fans, and while there's some room for improvement with regards to the interface, it's not the worst design I've seen. Zamarian gets some kudos for trying to use the tube format since it's still a rarity in the genre. Other than that, it doesn't do anything all that well. The controls are too squirrely to make you feel like you have any mastery over them, and the game doesn't break away from its mobile roots to embrace the advantages of the more versatile platform. The shooting feels uninspired until you reach the boss fights, which can be more of a confusing mess than something enjoyable. With an all-around mediocre presentation, Zamarian's only real saving grace is the $4.99 price tag. Even then, it's difficult to recommend this title unless you're desperate for a slightly different kind of shooter.